Dissolve cornstarch in sherry, oyster sauce, water, and add red pepper flakes. In wok or large skillet, heat oil over med high heat, add ginger and garlic. 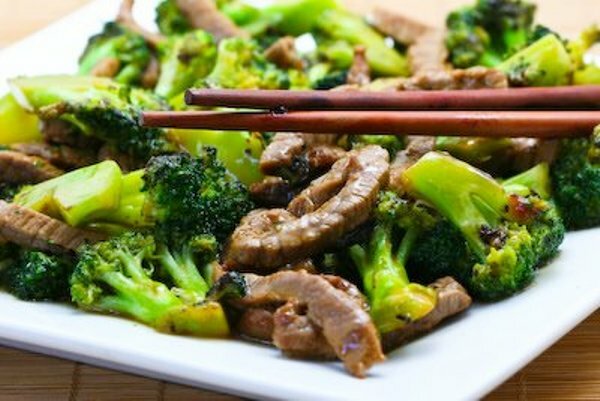 Add broccoli, stir−fry 3 minutes. Add green pepper, celery and green onions, stir−fry 3 minutes. Make a well in wok and add cornstarch mixture. Add meat and gently stir. Use chicken broth if mixture is too thick.